Walk to the surf at the end of the street from this impressive home and enjoy afternoons on the expansive deck overlooking the bay. This split level home offers 4 spacious bedrooms, all with built in robes, lower level lounge/rumpus room, family bathroom with luxurious spa bath, an additional central bathroom with shower, separate toilet, large laundry, modern kitchen with stainless steel appliances including dishwasher, wall oven and electric cooktop, and generous open plan dining and family room with an abundance of windows to encourage the natural light. The family room extends onto an enormous second level balcony with water views over the Bay, the perfect space for summer entertaining or family gatherings. The home also features a ground level deck. The property is fully fenced with low maintenance landscaping, large lawn area and detached garage with large roller door – ideal for secure caravan or boat storage, or for all of the beach toys! 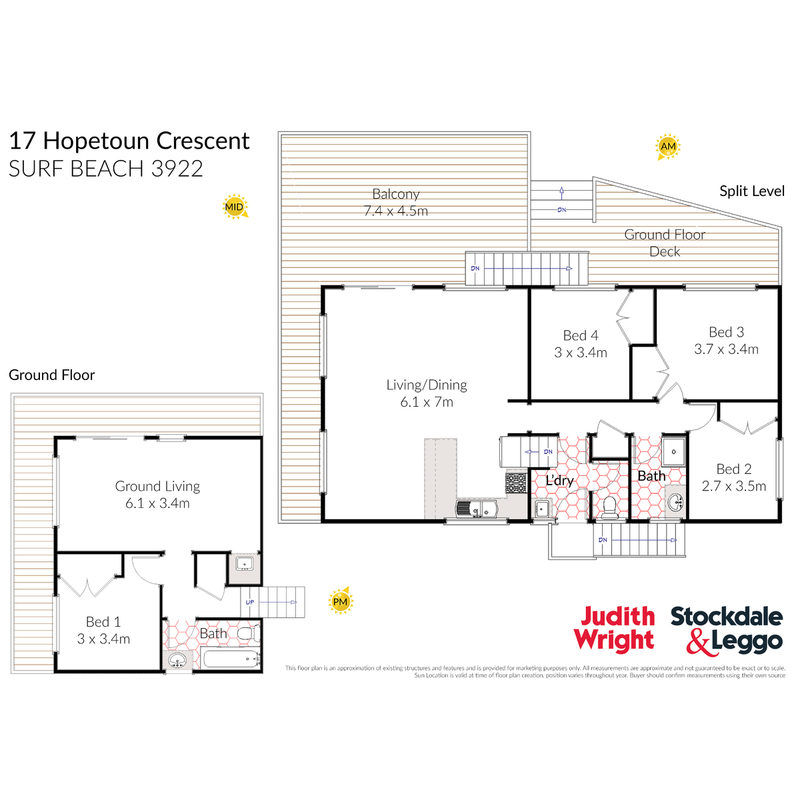 Located only 4 blocks from the surf beach and nature reserve, and only a short drive from Cowes and Phillip Island’s tourist attractions, this property is an ideal holiday home or permanent position. Arrange your private inspection and secure this property for Summer!